High strength, well absorbed Magnesium Glycinate tablets providing 100mg of magnesium per tablet. Magnesium is such an important mineral – it’s essential for literally hundreds of reactions within the body. Also known as “nature’s tranquiliser”, it has a calming effect on muscles and nerves, but it’s also necessary for energy production too. As with all nutrients, what’s important is how much you actually absorb and assimilate into the body. 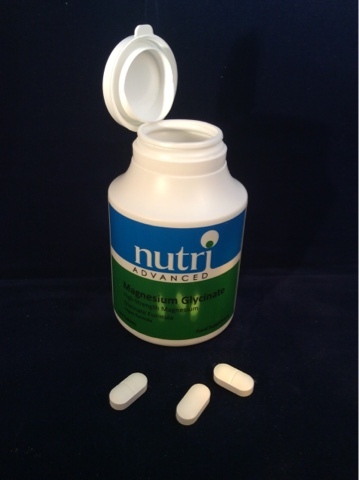 Our magnesium tablets use magnesium glycinate as it is a superior form of magnesium that is very well absorbed. It is generally well tolerated and makes these magnesium tablets especially suited for those with sensitive digestive systems. Magnesium is essential for the production of energy within every cell in the body – it may increase energy levels and help reduce tiredness and fatigue. Magnesium contributes to the electrolyte balance within the body. Magnesium is essential for the normal functioning of the nervous system and psychological function. Low magnesium levels may be associated with irritability or confusion. Magnesium contributes to the synthesis of protein. Proteins are needed for every single function of your cells, organs and in fact your whole body. The maintenance of normal bones and teeth need magnesium - it helps keep calcium within bones and teeth. How can magnesium help you? Magnesium is involved in over 200 enzymatic reactions in the body, and suboptimal intakes of dietary magnesium are common. 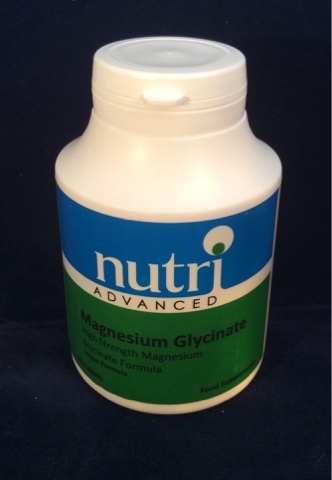 Magnesium Glycinate provides 100mg of magnesium as bisglycinate per tablet. Magnesium bisglycinate is a very well absorbed and tolerated form of magnesium. • the normal functioning of the nervous system and muscles. • energy-yielding metabolism and to the reduction of tiredness & fatigue. • the maintenance of normal bones and teeth. Until I started to research this product I didn't realise how important magnesium is for your body. Symptoms of magnesium definitely include physical and mental fatigue, poor memory and concentration, depression, anxiety, insomnia, tension headaches, muscle weakness and muscle cramps. I unfortunately suffer from most of those, so I suspect that I don't have enough magnesium in my diet. Magnesium is naturally found in green leafy vegetables, unrefined grains, nuts such as almonds and cashews, beans, pulses, lentils, tofu, soy milk and whole grains such as brown rice and millet. Other than leafy vegetables, not many of those ingredients feature in my diet so I was keen to try the Nutri Advanced Magnesium Glycinate supplement to see if it could help some of my health issues. I took the tablets for three weeks. You need to take two tablets twice daily with your meals, and I soon got into a routine of taking them. 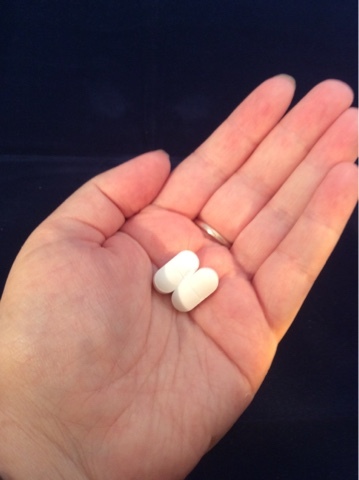 I have quite a sensitive stomach so I was a bit worried about introducing a new supplement, but the Nutri Advanced Magnesium Glycinate tablets were very gentle on my digestive system, it didn't upset it at all. I've recently developed problems with my throat which affects my ability to swallow some solid foods and larger tablets. Because of this I found the tablets a little tricky to swallow as they are quite big, but they had a line across the centre so I used a pill cutter to cut them in half. They cut cleanly without crumbling everywhere. Being able to cut the tablets into two pieces made it a lot easier for me. These tablets would be easy to swallow for a person without throat issues, but if you do have swallowing difficulties like me it's simple to cut them in half. I have numerous chronic health conditions, I am very medically complex according to my GP, so I wasn't expecting miracles with this supplement. I knew that it wouldn't cure all of my health issues, but it has significantly improved at least three of my symptoms. Three of my health conditions cause chronic fatigue, and it severely effects my quality of life. Since I started taking the magnesium my energy levels have definitely increased. Not just by a small degree either - I am needing a lot less naps during the day, my concentration has improved and I'm generally feeling better in myself. I have also noticed that I had a lot less headaches during the period that I tried the Magnesium Glycinate. If you suffer with restless legs syndrome then you will know how frustrating it can be. Every night I would lay down in bed and soon get the horrible twitching, burning feeling in my legs. It often felt like my blood was bubbling away under my skin, and sometimes it felt like thousands of insects were crawling over my legs. It's extremely irritating and it's impossible to get comfortable enough to get a decent nights sleep. After about two weeks of taking the magnesium supplement I suddenly realised that my legs no long felt like they had ants crawling all over them! I initially thought it might be a coincidence, but now that I've finished taking the supplement my restless legs symptoms have unfortunately returned so it was definitely due to the magnesium. I'm not sure why this supplement helps my restless legs, but I'm guessing it's because it helps make your muscles and nervous systems healthier. To be honest I don't really care about the technical stuff - all I know is that after years of trying different 'cures' I've finally found something that helps relieve the symptoms of restless legs syndrome. Yay! It may not work for everyone, but it definitely works for me. I haven't noticed an improvement in my chronic pain or in my muscle spasms, but I wasn't expecting the supplement to help that as they are so severe. But I'm extremely happy with what the magnesium did help with. More energy, less headaches and a vast improvement in my restless legs symptom - that's definitely a win to me! In my opinion the Nutri Advanced Magnesium Glycinate tablets are definitely worth the £17.95 price tag as they really have made a difference to me. I'd definitely recommend this product and have given it five stars.